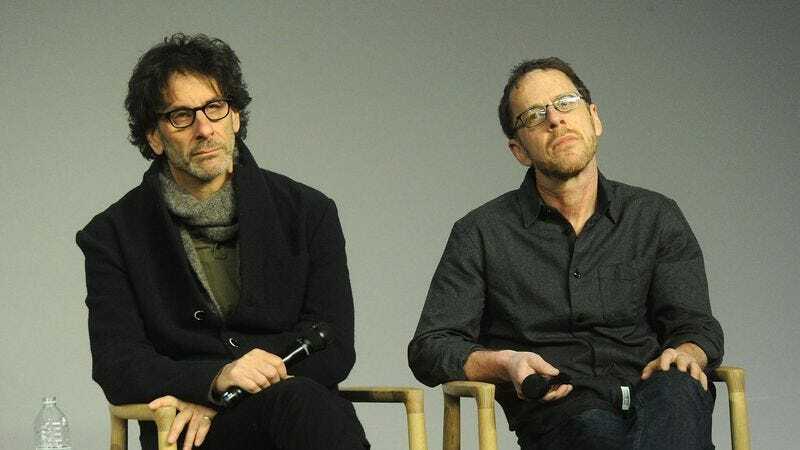 Although some of their creations—most notably, FX and Noah Hawley’s Fargo—have taken the trip, Joel and Ethan Coen have never made the jump to TV. That’s about to change, though, with Variety reporting that the writer-director pair have started work on The Ballad Of Buster Scruggs, a proposed TV miniseries that would revisit the duo’s occasional obsession with the Wild West. The series will apparently weave together six different story lines, with details on the plots being kept under wraps. Also, it’s been suggested that the project might incorporate some sort of theatrical release into its production, although it’s equally unclear on how that would work out. Buster Scruggs is being written and directed by the Coens, working from an original idea. Annapurna Television—which also recently coaxed Julia Roberts into a similar film-to-TV leap, for the literary adaptation Today Will Be Different—will produce.